When young entrepreneurs Aiden Doane and Jesse Emilio have a free minute, you’ll likely find them outdoors. They’re off running trails, fishing the Snake River, trekking in Grand Tetons National Park and enjoying every bit of the rugged adventure that is Jackson, Wyoming. Always by their side are faithful companions Yaz and Tuckerman, the couple’s beloved dogs. But in 2012, news from the veterinarian threatened to change the couple’s way of life and confine their active, outdoorsy canines to a life on the couch. Tuckerman, an otherwise healthy two-year-old German Shepard was diagnosed with Pannus, an often painful inflammation of the cornea that can lead to blindness. Yaz, an active husky suffered from swollen, sun-blistered eyes. UV rays make both conditions worse, so treatment included keeping the pups indoors and out of the sun. The diagnosis sparked a journey. Jesse and Aiden were determined to find a way to keep their dogs part of the adventure. They began looking at other dog goggles on the market but couldn’t find ones that stayed put, fit well, and offered the kind of protection their active dogs needed. So, they decided to make their own – using ski goggles and ingenuity. “We cut them up, glued them back together, used parts and pieces, added features – always playing with how the product fit on the dogs’ face and functions needed,” said Doane. Jesse’s carpentry experience and Aiden’s MBA helped them turn a quest to protect their own pets into a business. 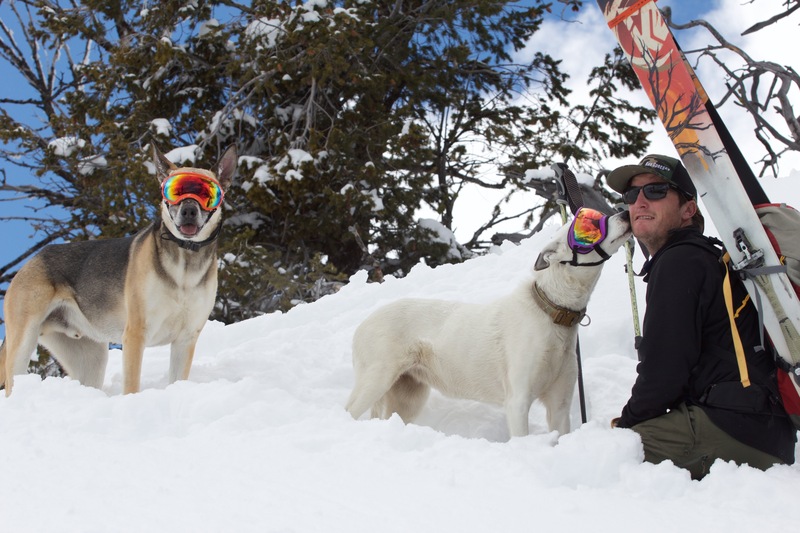 Today, Rex Specs dog goggles are used by all kinds of active dogs including dogs in the military, bird dogs, rescue dogs and family pets that just enjoy the great outdoors. They protect against harmful UV rays, wind, sand, sticks and debris. They’re also impact-resistant and made to fit comfortably and securely. 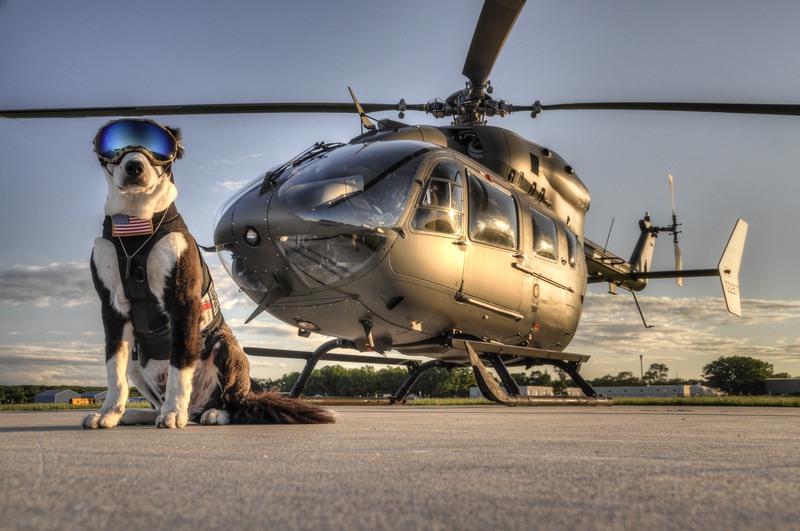 “I will never say that every dog needs Rex Specs, but for those that do we provide the necessary protection. Many dogs will suffer from eye disease or damage at some point throughout their life. Rex Specs can prevent these issues and assist in the management and treatment. From UV protection to post surgery to helicopter deployments, Rex Specs provide quality, dependable protection,” said Doane. As for Yaz and Tuckerman, they’re still enjoying the great outdoors, protected from the sun’s harmful rays – and looking ever so cool in their Rex Specs. For more information on Rex Specs visit www.rexspecs.com. Next: 2017 Was All About the Puppies!